Amazon has announced that it has some spare change and has agreed to buy up all the remaining shares of Lovefilm that it didn’t already own. The British company is a subscription-based movie rental and streaming service for the UK, Germany, Denmark, Sweden and Norway. Looks like Amazon might have the final piece in place to battle Netflix. The acquisition is expected to be complete by the end of Q1 of this year. Good news for iOS users. 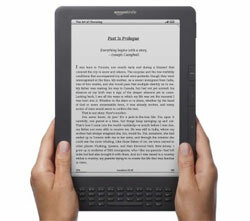 Amazon has announced a major update to the Kindle app for the iPad and iPhone. It’s free in the App Store. The 2.5 update will now finish, though not start, a book download in the background. It also now supports raw files and can load supported text from Mail or Safari in addition to using iTunes’ File Sharing for sideloading books from a computer. The update has access to Project Gutenberg’s collection of “millions” of public domain books as well, so you can read free books all day if you like. Some other changes are better image zooming and a new book indicator plus several bug fixes. 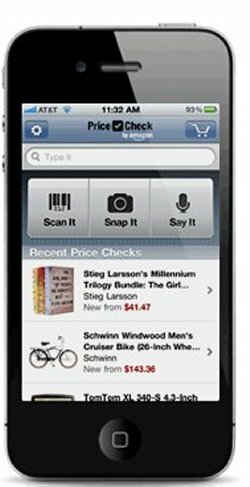 Amazon already allows you to scan a barcode on a product to purchase it online with an iPhone app and now the company has launched a new way to compare and shop with a free iPhone app called Price Check. The app lets you scan a barcode, or take a picture of the product, or even simply say the product’s name to access product listings on Amazon’s site. Many of us will be using this one often. Right now users can take a photo of the item and match the picture to books, DVDs, CDs and video games, though Amazon says that it will be adding more categories very soon. This should make Xmas shopping a breeze this year. Amazon has an interesting patent registration for a gift conversion system. The idea is that you’ll end up with the gift that you really want, instead of getting socks or a sweater from your grandmother. 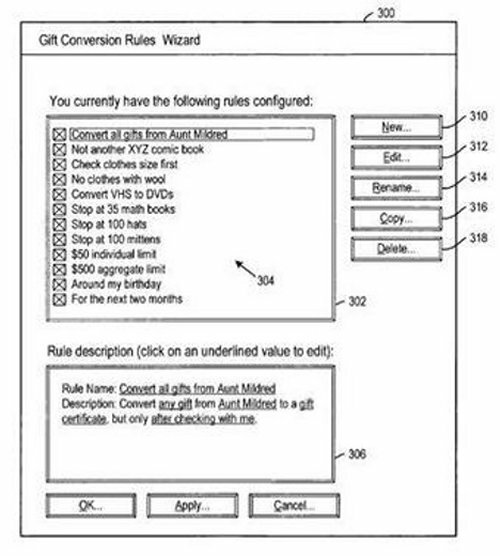 The patent describes a system that allows gift recipients to set parameters for the things they want. For instance “convert all gifts from Aunt Mildred,” or “no clothes with wool,” and “convert VHS to DVD,” etc. So if Aunt Boringpants buys you a VHS movie, you could easily convert it to a DVD. 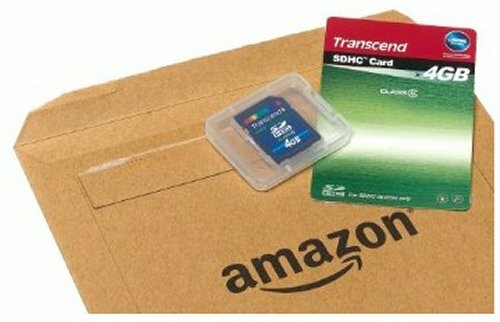 Amazon has announced that its Disc+ program is growing, from about 300 titles last year to more than 10,000 DVDs and Blu-ray discs. Disc+ means that when you buy the disc, not only is the disc shipped to you, but you also get a free downloadable copy to watch right away. So, no waiting. You can check out the site for a full list of available titles. Good news for those who love discs, but have no patience. Amazon has announced a new style of book for the Kindle called ‘Kindle Singles’ that are twice the length of a New Yorker feature or as much as a few chapters of a typical book. Kindle Singles will have it own section within the Kindle Store and will be priced much cheaper than books in the Kindle Store. 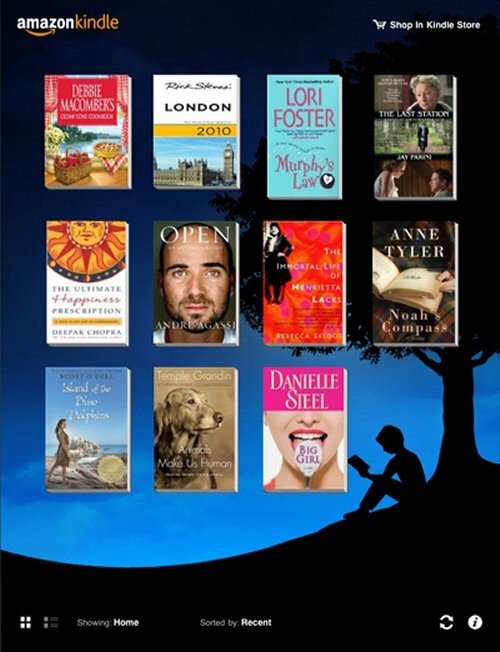 Kindle Singles will be the usual “Buy Once, Read Everywhere”. Buyers will be able to read them on their Kindle, Kindle 3G, Kindle DX, iPad, iPod touch, iPhone, Mac, PC, BlackBerry, and Android-based devices. After announcing the Kindle app for the BlackBerry PlayBook there was also the rumor of an upcoming Amazon Android store. And now we hear word that Amazon may be gearing up to release some Android-powered hardware. We don’t have any specific details, but if Amazon is bringing an Android app store, it does lend some credibility to the possibility of an Android-powered tablet from the company. I guess we just have to wait and see. Amazon has updated its Kindle App for Google Android devices. This latest version of the Amazon Kindle App for Android brings a bunch of new features, which include: full text search, the ability to ad highlights and notes and synchronize these with other devices, and more. It’s a welcome update that will keep bookworms on Android devices very busy and well read. 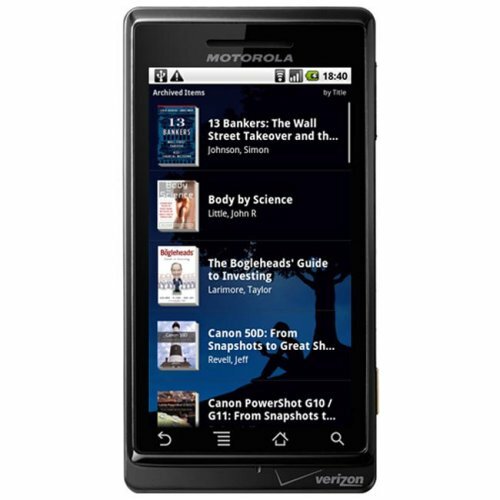 The updated version of the Amazon Kindle app for Android is available as a free download from the Android Market. Product packaging is often ridiculous. We all know this. That’s why Amazon introduced Frustration free packaging two years ago. Sadly, only 600 of the millions of products available on Amazon.com have been modified to reflect the simpler packaging needs of online customers. The latest on Amazon is that the company is planning to expand its Video On Demand service into a flat-rate, unlimited service, according to insiders. The plan that was pitched to NBC, Time Warner, Viacom and others would provide unlimited access to at least “some” movies and TV shows. The service would work over both the web and existing devices, like TiVo DVRs and the Xbox 360. One option may be to use a subscription as a perk for Amazon Prime, which already gives automatic two-day shipping upgrades for $79 per year. It might also focus on back catalog titles instead of newer ones to appease executives who are cautious about applying unlimited access to newer titles. According to the New York Times’ Bits blog, some “people with direct knowledge” of Amazon’s plans say that Lab 126 (the division of the company which designed the Kindle) is looking into other hardware. One source reports that such devices are meant to enable easy purchasing of Amazon’s content, which currently includes music, movies, and digital books. The source also says that CEO Jeff Bezos’ intent for Lab 126 was initially to build multiple devices. 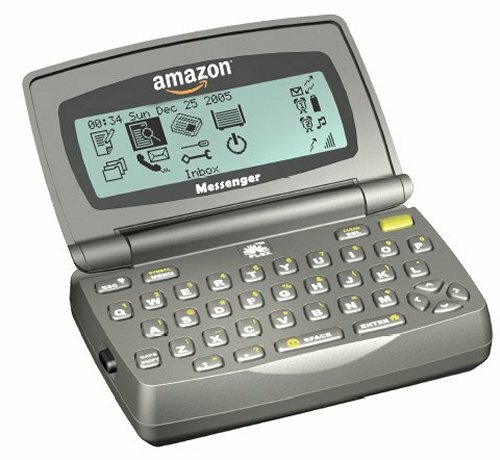 They even toyed with the idea of entering the mobile phone market, but Kindle eventually became the focus. Apparently, Amazon’s hardware division currently has about 80 job openings, which would give this some weight. I just mentioned that the original Kindle was the deal on Woot today. 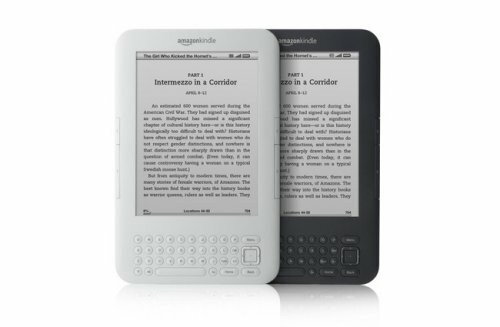 Amazon has also announced a new Kindle DX with a big screen in a new graphite color. The new DX has a 9.7-inch screen and offers 3G connectivity. Like previous DX models, that wireless connectivity is free. The device has a screen with 50% better contrast than previous models and the screen can be read in direct sunlight. The overall size of the device is 10.4″ x 7.2″ x 0.38″. Ok, this has been on Woot all day so far, so I’m not sure how much longer you have. If you want a Kindle and want to save $40 off the normal price, you need to hurry. 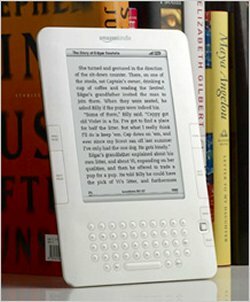 The original Kindle is the deal on Woot today. You can grab up the original Kindle for $149.99 plus $5 shipping. That is a steal considering the price was only dropped to $189.99 not long ago. This is a real Kindle, not a knock off and it’s not a refurb either. 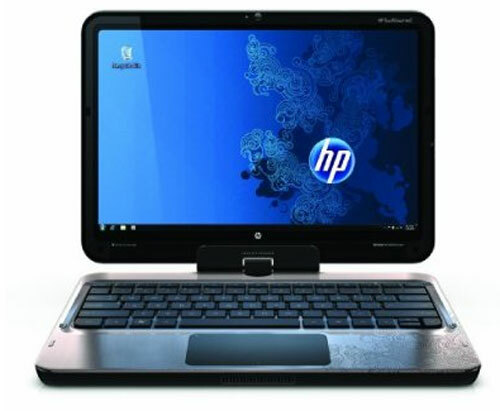 We have heard that the HP TouchSmart line would be getting new CPUs from the Intel Core 2010 line up a while back. Exactly when we would see the small notebooks get the CPU upgrade was unknown. If you have been waiting for one of these machines running a new Intel Core 2010, it has surfaced on Amazon. The HP TouchSmart tm2-2050us has a 12.1-inch WXGA LED display. The graphics are powered by Intel integrated HD, which is a bit disappointing. The machine has an aluminum finish with a new riptide design in modern argento.